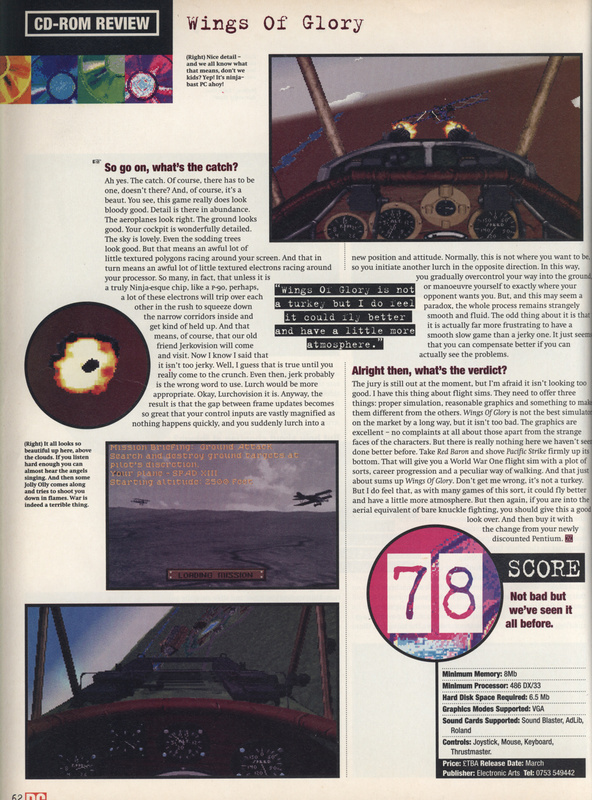 This review is from the March 1995 PC Zone. 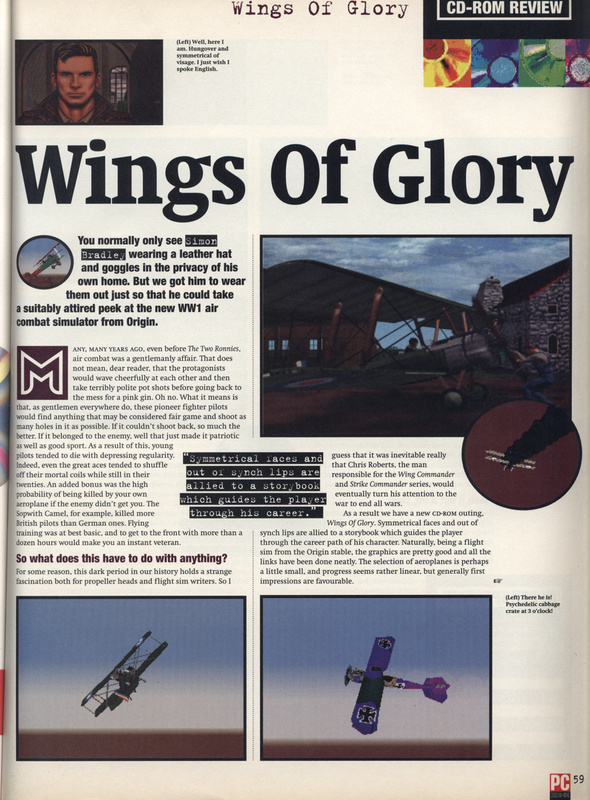 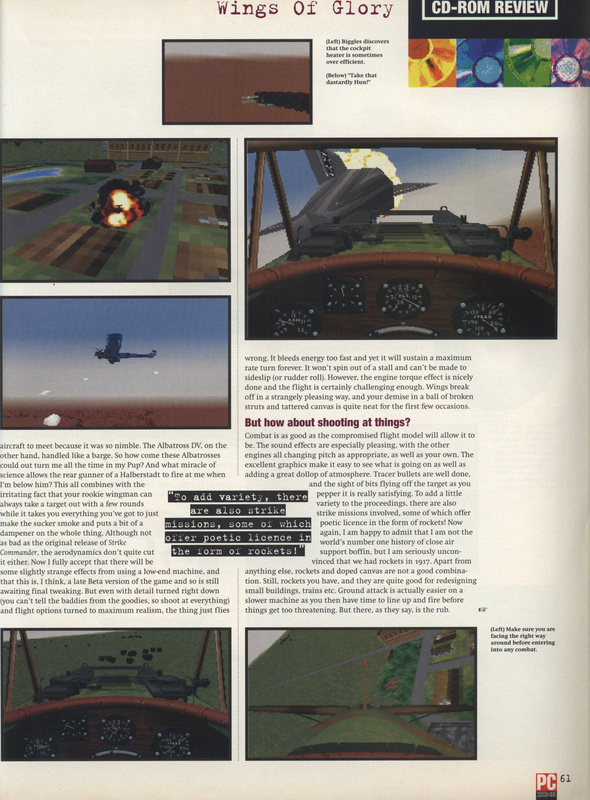 From this and other reviews, I get the impression with Wings Of Glory that it didn’t appeal too much to flight sim players as it just wasn’t realistic enough. 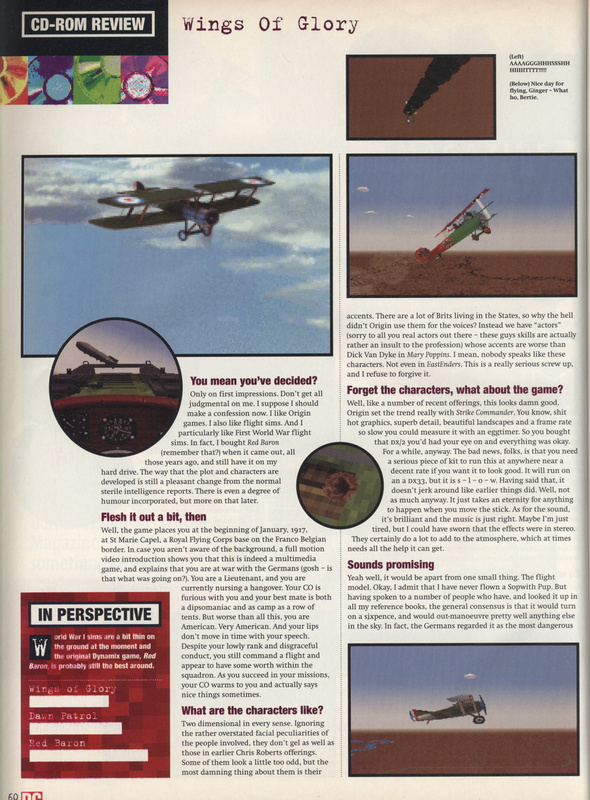 This could explain why I liked it so much.